I found this book on Amazon by chance and my first impression from reading the reviews was not positive. Despite this I decided to take a look at the 1x.com website (you will also find a link to this site in the "Inspiration" section of Lenscraft). I would recommend you visit the site as there are some stunning images. In fact all the images from the book can be found on the site. Now for a word of warning. Many of the images blur the lines between art, photography and digital manipulation. Indeed some of you might feel the photographers have taken manipulation too far. Despite this the quality of the work is excellent and there are many talented photographers represented. If you don't like the work, look for ideas that you can borrow for your own images. There is always something to learn. Returning to the book, this follows a simple format showing an image on one page and a description of the process used to create it on another. The processing assumes an intermediate level of competence with image editing and only provides outline details. This is not a step by step guide but then that's not the intention. If you understand how to edit images you will be able to borrow from the information given but this is certainly not a book of tutorials. 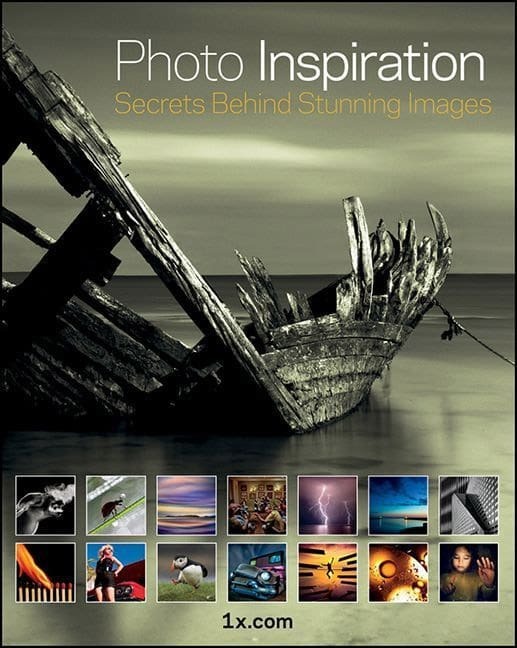 This book is quite clearly aimed at inspiring photographers and generating ideas that can be adopted. I found myself coming up with all sorts of ideas as I read the various descriptions. In this respect I think the book is a success. The reason I am limiting my score to 8/10 is purely because I don't think the limited descriptions will suit everyone. Because much of the material is already available on the 1x.com web site but then again not everyone wants to read from web sites. Finally, it's possible to become a little overwhelmed, almost numbed by the "high octane" nature of the images. Overall I would certainly recommend this book as a good source of inspiration and ideas. It should make a good addition to most photography enthusiasts libraries providing you are happy with the idea of manipulating your images.